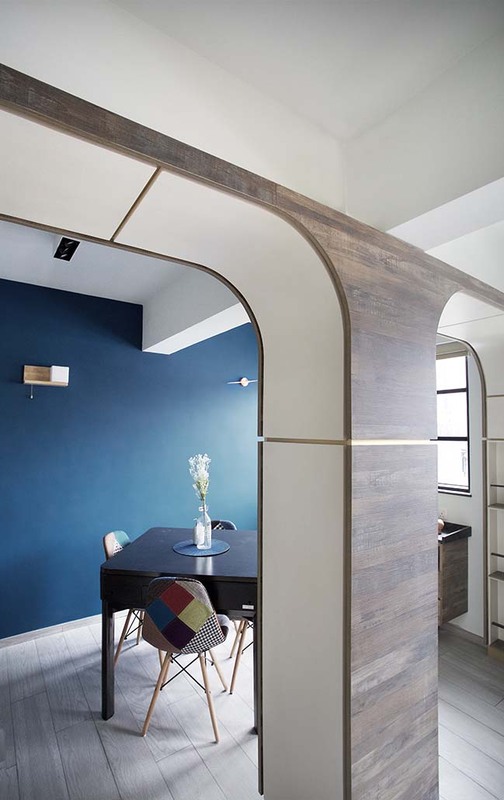 Sim-Plex has renovated a 530 sq.ft old tenement apartment in Hong Kong, with a symbolic Arch- form cabinetry as a spine of the project. 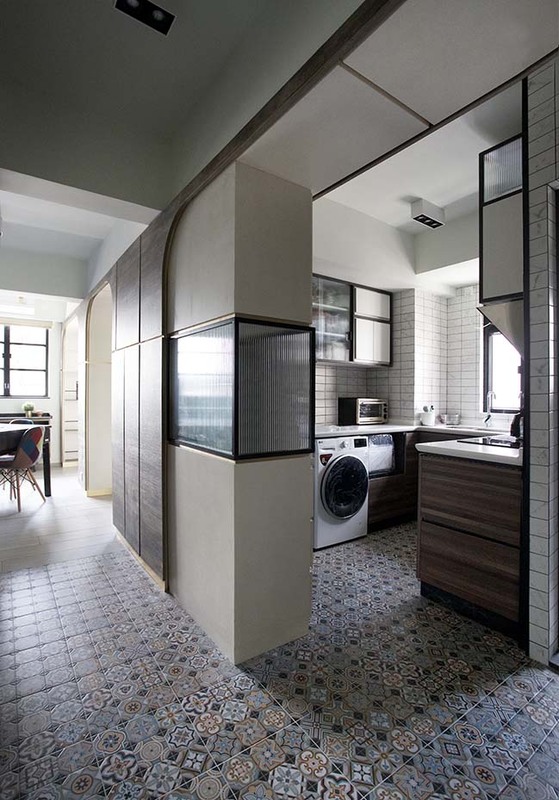 From the architect: Three youths will moved into this 1970s old tenement apartment in one of oldest district, Kowloon City in Hong Kong.“The conflict between young people and old district is already an interesting point to us. 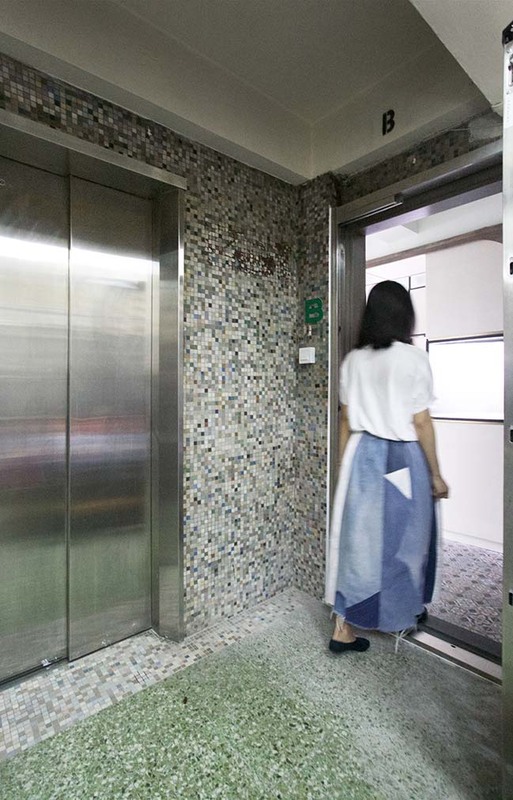 When we first examine the site, the nostalgic green mosaic tiles and terrazo floor along the staircase and lobby has impressed us a lot, however, when we stepped into the apartment, the supreme big columns block the main space which gives us a big design challenge.” explained by Sim-Plex. “How could we transform these design constraints to suit the daily needs of youth and response to the context of tenement house or even the old district? “ continued by Sim-Plex. 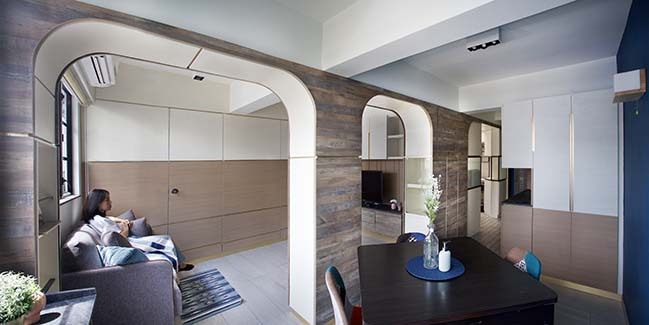 The main concept is to integrate the cabinetry with the columns and beams to form an arch wall. Not only to camouflage with the column structure but also integrate daily functions and provide a symbolic meaning. Sim-Plex detaily examined the pattern, texture and size of the lobby tiles. The selection of the vintage pattern floor tiles and marble wall tiles at the foyer helps to establish a contextual relationship. The usage of raw wood surface and deep blue wall paint also enhance the memorial experience. 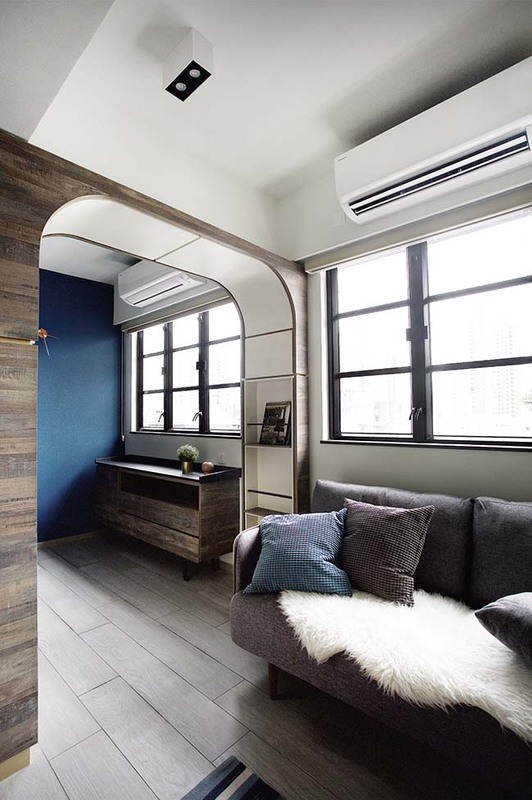 Hong Kong is famous for its expensive land and rent price, and recently, there is a trend to represent a co-living space for youth to share and save the cost. Old tenement apartments become the common target. 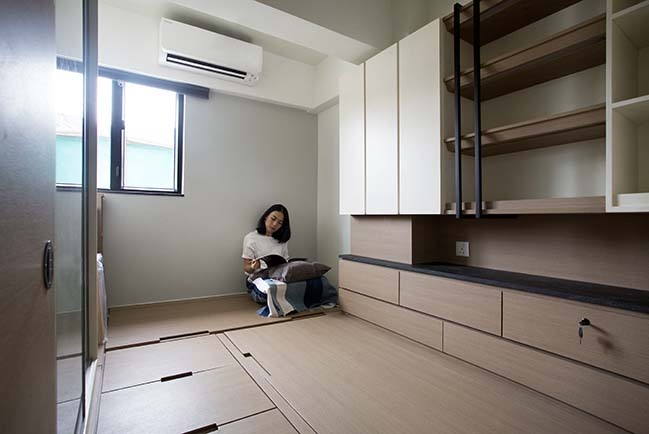 However, some of these co-living units have sacrificed the spatial quality in order to pack more people and reduce the cost. “ We sincerely hope this project could set a standard for co-living.” said Sim-Plex. 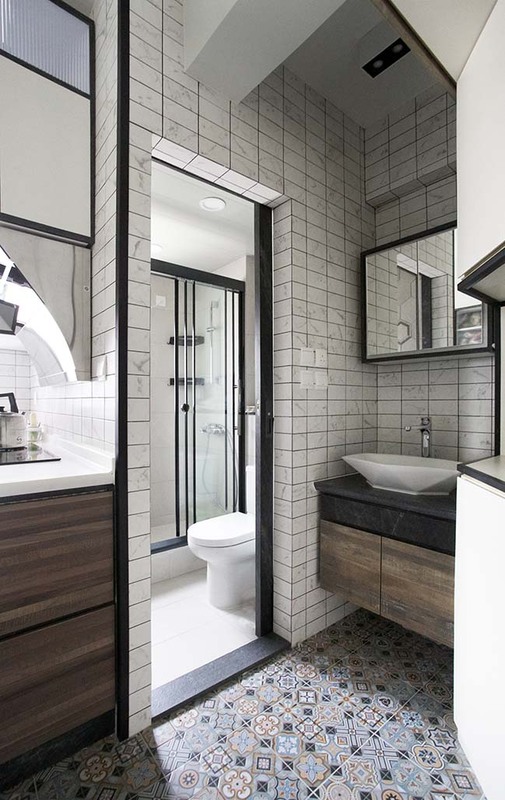 After the renovation, an arch cabinetry is set across the living dining room, semi-open kitchen and bathroom. 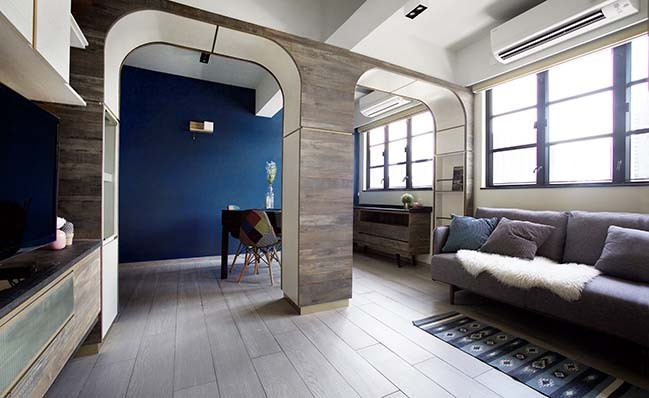 Circulation and space are penetrating between the arches. It is the spine of the house and providing storage, magazine tray, lighting, etc for the daily needs. 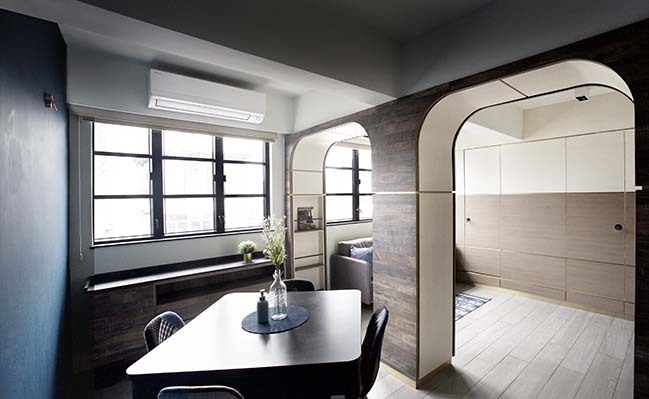 The spatial arrangement of the arch also maximize the penetration of daylight. 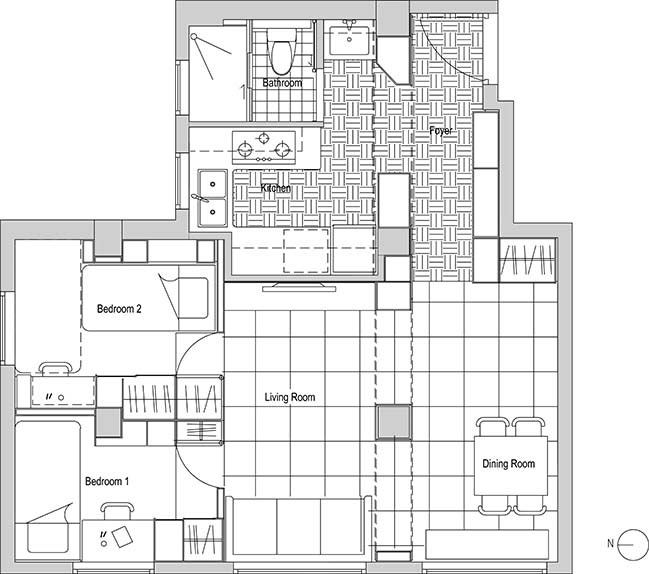 The kitchen is behind the arch and is opened up to the foyer. The adoption of fritted glass increase the sense of lightness. 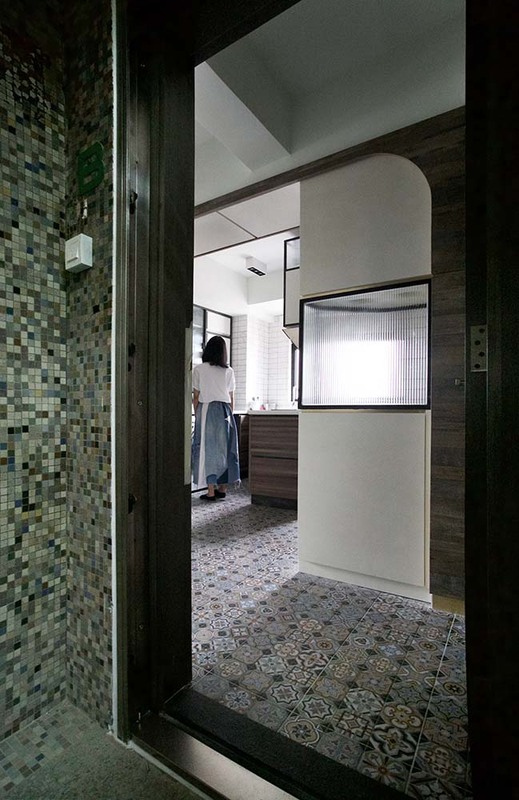 Vintage patterned tiles are used at the floor to create a similarity from the outside lobby to the inner. 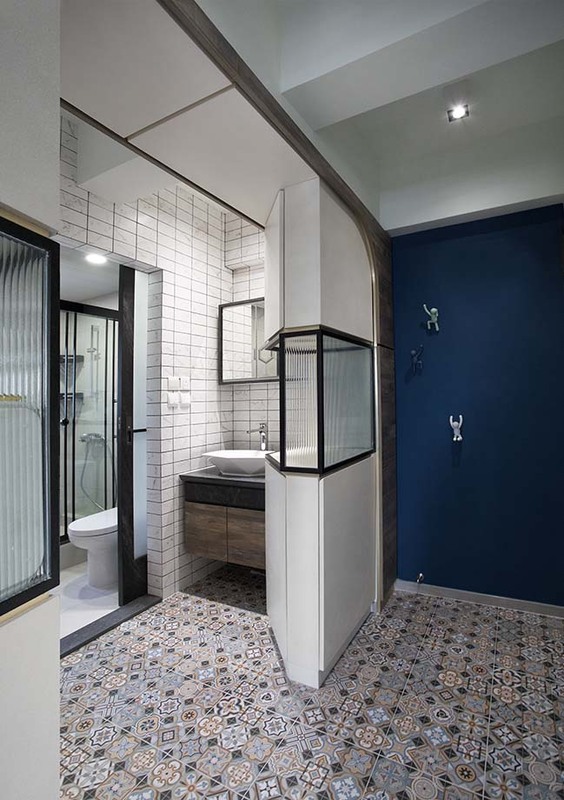 The water basin of the bathroom is opened to maximize the space and create flexibility in daily usage. 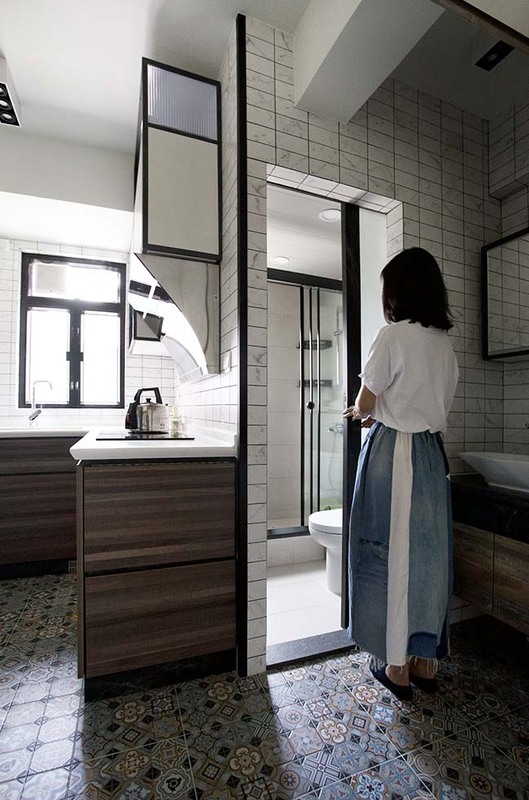 The two bedrooms doors are concealed behind the wooden wall. 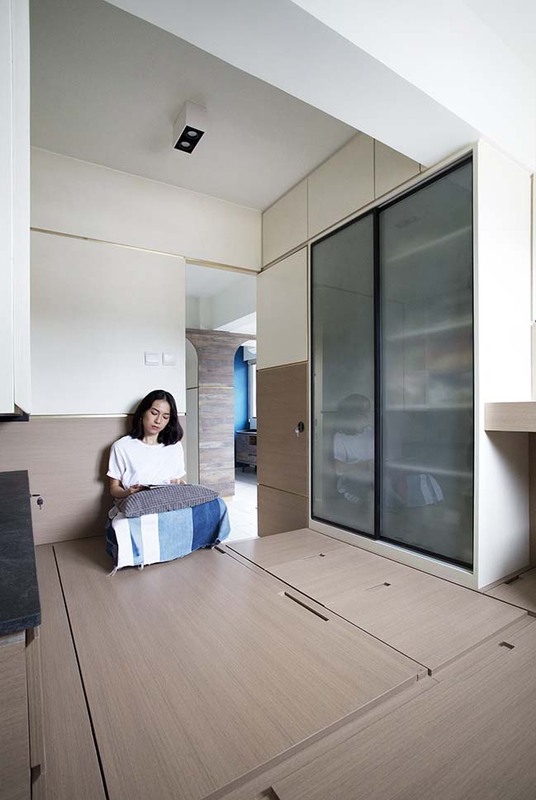 Wooden platform is added for each room to enhance the storage. 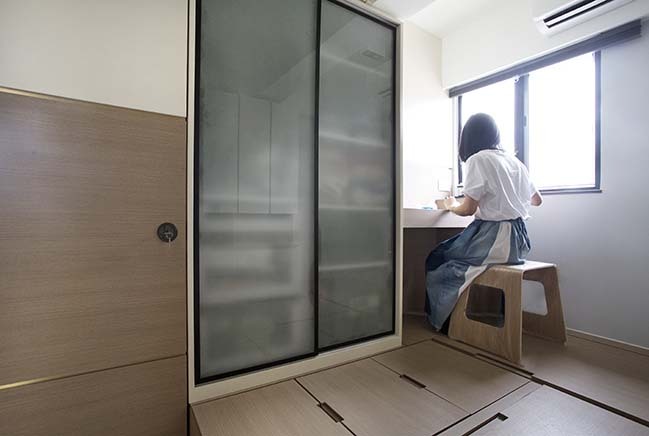 This project demonstrate a prototype of a better co-living space for tenement apartment in Hong Kong.